One of Arizona’s top luxury resorts is about to amp up its already lavish reputation. 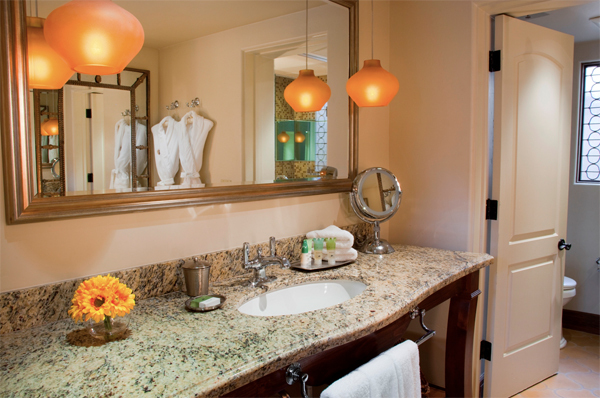 The Royal Palms Resort and Spa is currently amidst a $1.2 Million revamping of its 30 Valencia Casitas. 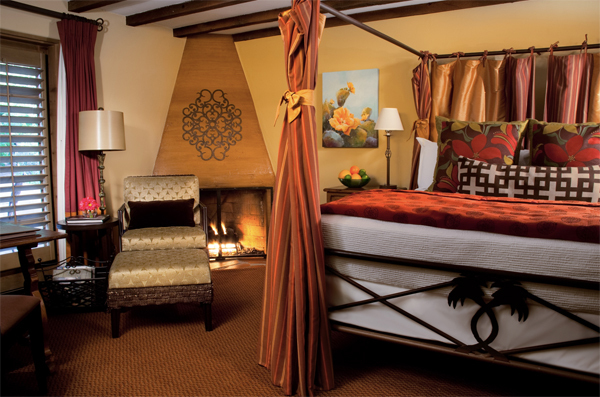 The 30 Valencia Casitas are located in the resort’s Valencia Gardens and offer guests dramatic views of Camelback Mountain or the surrounding gardens, many with fireplaces and all with handsome wrought-iron four poster king or queen beds and elegant French doors that open to beautiful patios. The resort’s aim is to upgrade the residential-like guest casitas while maintaining the resort’s well-known Mediterranean charm. The Royal Palms tapped into the local design talent pool when it came time to decide on who would make their design visions a reality. Two local, yet nationally acclaimed design teams were selected for the project, which will be completed by early September 2012. Est Est Interior Design was awarded the opportunity to refresh the ‘eclectic elegance’ of the bedrooms, which are built in classic estate style and are appointed with plush Desert Dream mattresses and hand-selected furnishings. A model casita, which is already completed, is pictured above and serves as a representation of what resort guests can expect when the renovations are completed. The Royal Palms Resort and Spa, www.royalpalmsresortandspa.com.